Rent To Buy Spain do not offer financial advice, to assist with the financial aspects of the contract they have partnered with MortgageDirect, a leading independent mortgage brokers with advisers across Spain, and Currencies Direct, one of the foremost currency transfer companies. MortgageDirect was founded in 2006 by Katherine Walkerdine and Kevin Monger. Their business concept is to offer mortgage advice to clients of all nationalities buying properties in Spain including those choosing to purchase using a Rent to Buy contract. They offer a complete brokerage service across Spain to their clients, overseeing the applications from start to finish. Their goal is to remain the leading independent mortgage broker in Spain, delivering high-level professional mortgage advice and offering the best available products, as well as unique financing solutions to their clients. 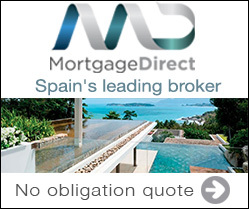 MortgageDirect are ready to support Rent to Buy Spain’s clients with their financial requirements to make their property purchase a reality. Click on the MortgageDirect banner box for further information. For those who have to transfer money in different currencies Rent To Buy Spain have enlisted the support of independent currency transfer experts Currencies Direct. Established in 1996 they have helped more than 150,000 people throughout the world. In Spain since 1999, they now have 13 branches from the Costa Blanca to the Costa del Sol, and a team of multilingual currency experts to help you with all your transfer requirements. They are authorized by the Financial Conduct Authority as an Electronic Money Institution and they have the highest possible Dun and Bradstreet rating. Currencies Direct are ready to support your Rent To Buy purchase when you are. Click on the Currencies Direct banner box if you require support with a currency transfer.